Tá scoth na dtithe ósta agus na dtithe lóistín sa pharóiste agus Brú Óige úr an Earagail i nDún Lúiche. 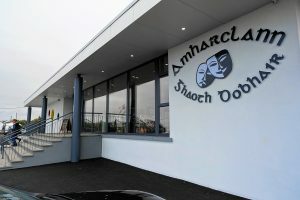 Tagann na sluaite go Gaoth Dobhair ó cheann ceann na bliana chuig Loinneog Lúnasa, Scoil Gheimhridh Ghaoth Dobhair, Féile Chnoc Fola, Féile an Earagail i nDún Lúiche agus imeachtaí eile, agus le háilleacht agus saibhreas cultúrtha an cheantair Ghaeltachta seo ar Shlí an Atlantaigh Fhiáin a bhlaiseadh. 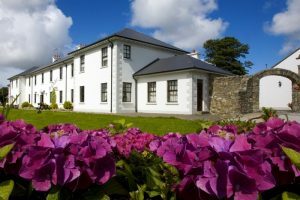 Siúlóidí aoibhne cois trá nó ag bun na gcnoc…Tránna fairsinge glana…Lá don teaghlach in Ionad Cois Locha i nDún Lúiche…Cúrsa gailf breá cois cladaigh i Machaire Gathlán…Caith lá ar Oileán Ghabhla ag spaisteoireacht agus ag amharc uait…Téigh go barr na hEaragaile go bhfeice tú áilleacht an cheantair….Blais scoith an bhia farraige i mbialanna bréatha na háite…Iascaireacht mhaith sna haibhneacha lonracha agus san fharraige ghlégheal….Páirc Náisiúnta Ghleann Bheithe agus Oileán Thoraigh sa chomharsanacht agat. 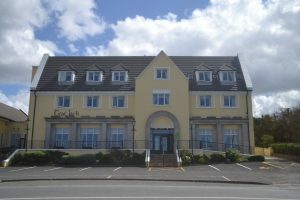 Cé go bhfuil Goath Dobhair suite i gcoirneál thiar thuaidh na hÉireann, níl an ceantar chomh scaite agus a bhí san am a chuaigh thart. Tagann eitleán de chuid Aer Lingus ó Bhaile Átha Cliath go hAerfort Dhún na nGall i gCarraig Fhinne (trasna an uisce ó Ghaoth Dobhair) dhá uair achan lá. Tagann Loganair ó Ghlaschú trí lá sa tseachtain i rith an gheimhridh agus cúig lá sa tsamhradh. 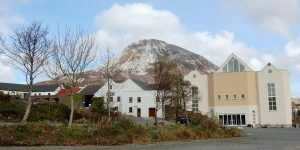 Tagann busanna Mhic Fhionnaoile cúpla uair sa lá ón phríomhchathair go Gaoth Dobhair, bus Phádraig Uí Ghallchóir ó Bhéal Feirste agus busanna Feda Uí Dhomhnaill as Gaillimh.